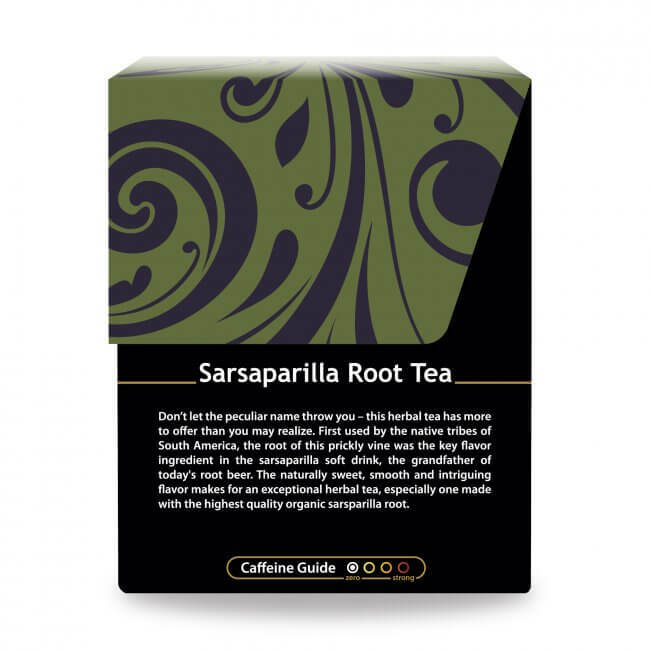 Sarsaparilla Root Tea offers a uniquely nutritious beverage option for those seeking to up their self-care game, while maintaining their desire to drink delicious teas. Though you are likely quite familiar with the sweet sodas root beer and sarsaparilla, we’re pretty sure you can’t list off the top of your head the touted benefits of the plant sarsaparilla, or those of our unique and delicious Buddha Teas Sarsaparilla Root Tea. 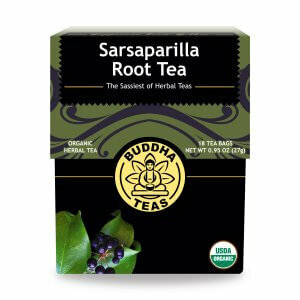 However, we are sure that after you discover more about sarsaparilla, after you take your first sip of our Sarsaparilla Root Tea, you’ll want to make sure your cupboard is never without this remarkable tea. Smilax officinalis … it climbs up trees in the Amazon, and spreads throughout the forests of Southeast Asia hoping to capture any light it can. Craving the dark, humid forest climate, this unusual and medicinally relevant plant is one you’ll want to get to know. However, if you really want to know what’s the deal with sarsaparilla we’re going to have to get a little technical with you. Why? 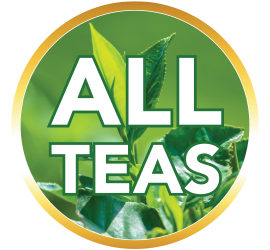 Because when you taste this sensational tea, you won’t believe that something so delicious could actually be good for you. 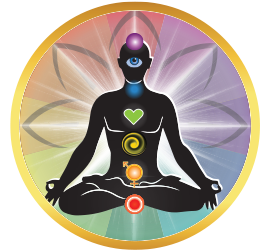 Thus, we want you to understand the why’s behind the health claim truths. Sarsaparilla contains a class of chemicals called Saponins … this component is what makes water foam up when shaken, kind of like soap. Bacteria and fungi create toxic waste in our bodies. Saponins work within the veins and arteries of our bodies to actually clean out toxic waste. 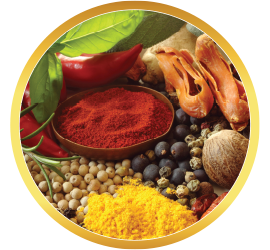 This chemical binds and neutralizes the waste within the blood, allowing the accumulated toxins to be flushed out. What Does Sarsaparilla Tea Taste Like? Yummy! Amazing, actually. Smooth, sweet, like the soft drink, really, without the detriments of added sugars, colorings, preservatives, and all the other undesirable ingredients that go into making the commercially produced drink. 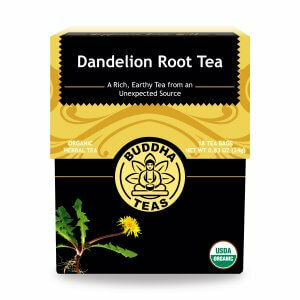 If you like the taste of cream soda or root beer, you’re going to love this tea. Use clean, preferably filtered water at a boil, 205-221°. For hot tea, we like to use one teabag per 8oz water. 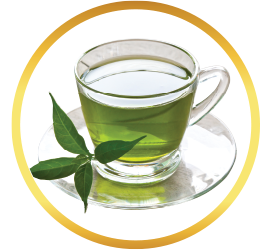 For iced tea, use several teabags and store in refrigerator in a glass or ceramic container for up to 48 hours. 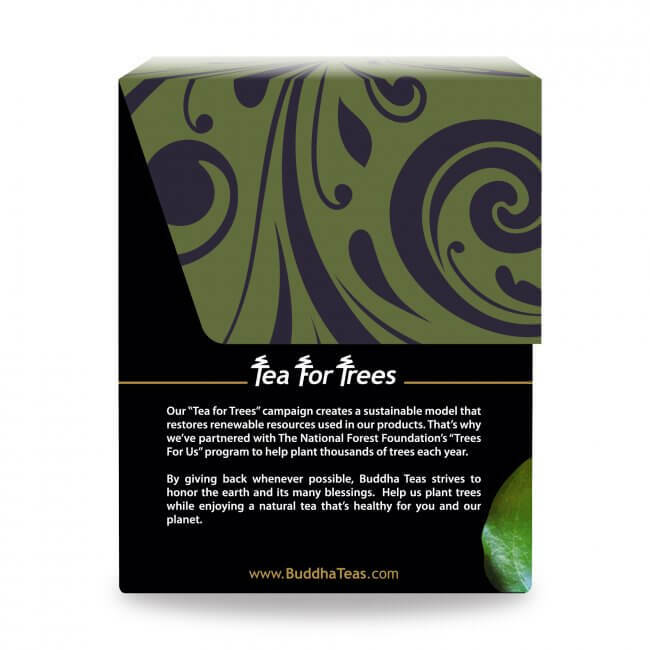 Buddha Teas specializes in providing you with 100% natural herbal teas. 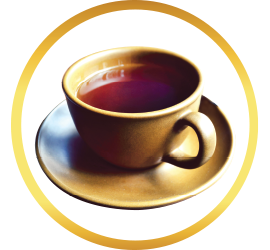 For enthusiastic tea drinkers, we offer special bulk pricing for those who plan to drink sarsaparilla tea on a regular basis. 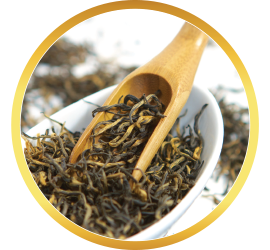 Buddha Teas is also one of the rare tea merchants to offer teas crafted from a single herb, rather than a blend of several herbs in one. 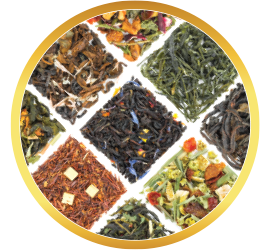 This allows you to choose what works for you by mixing and matching your favorite herbal teas to make your own unique blends. 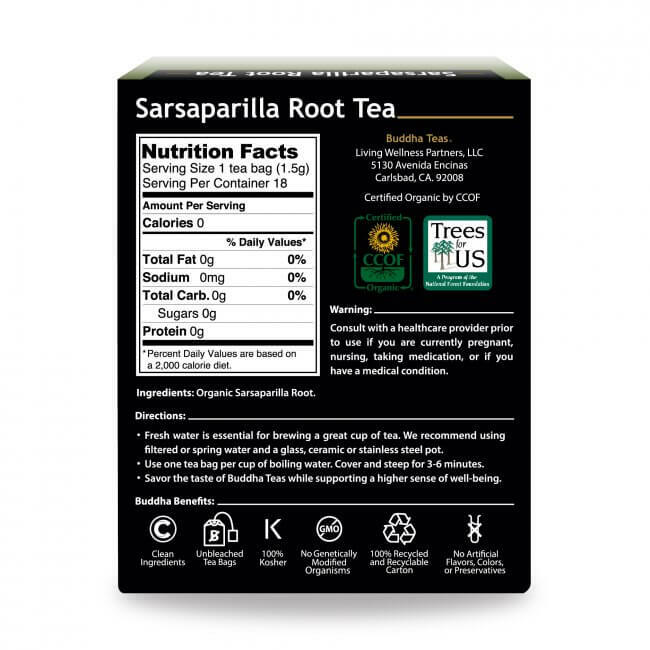 Purchase sarsaparilla root today and make use of our limited coupon code, available on the product page. Beautiful tea, especially with a bit of Australian bush honey. Has been extremely helpful restoring vitamins/ minerals to my bones that were being CBC depleted. Thankful. Hello from central Illinois! On a cold winter day, I make a cup of sarsaparilla tea, curl up on the couch with a good book and a warm blanket, and savor every sip I take. Can’t beat the comforting taste. One of the best decisions I made. The tea tastes great and I drink at least once a day. Review Title: BEST TEA EVER! 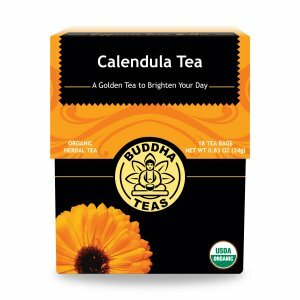 If you have problems with your thyroid, this is the best tea to take. 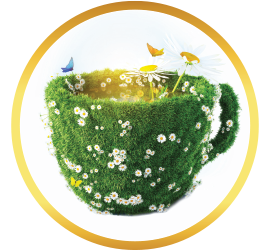 I love this company, their teas do the job and chemical free tea bags. I’ve been using their teas for years and never been disappointed. 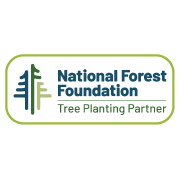 I highly recommend this company! I drink a lot of tea and it was everything they said it would be. I know the benefits of this herbal tea. I drink it in the evening and I just love it! Thanks! Difficult to find excellent quality Sarsaparilla Root Tea. So grateful that Buddha teas takes the time and effort to source this tea. I also appreciate the exceptional quality product that they offer, which seems to be very difficult to find these days. Five stars across the board! Loved the Sarsaparilla Root tea. I plan on making it carbonated the next time.